If I say hands-on learning, what face do you make? Are you like me and love making big messes with your kids or did you cringe? I bet the majority of the people reading cringed. I mean what kind of crazy person wants to spend extra time planning and putting together something just for their kids to make a gigantic mess? Well, me, and everyone who has really seen the benefits of experiential learning. And hopefully, by the end of this post, you will be one of those people. To start off, I want to go over the benefits of learning through experiences or hands-on learning. For those just wanting a list; here it is in no particular order. But if you really want to learn why and how, read the explanations further down, and then I dare you not to want to jump into hands-on head first! 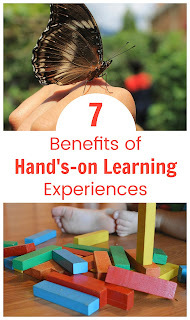 Now that we know the benefits of hands-on learning lets look a bit closer at each benefit. This one is a no brainer. Almost every kid on the planet would rather be up moving around and interacting with something rather then listening to a lecture. Also, hands-on activities are great for sparking a new found interest in subjects previously viewed as dull. When you enjoy something you are going to pay attention to it, you are going to spend time on it, you are going to absorb it. Not only are kids more intentional with hands-on experiences, but the brain is more engaged. It has been shown that multiple areas of the brain are activated during experiential learning. You probably already know that everyone has one main way they learn best. No matter which way you learn, you use your senses to do so. 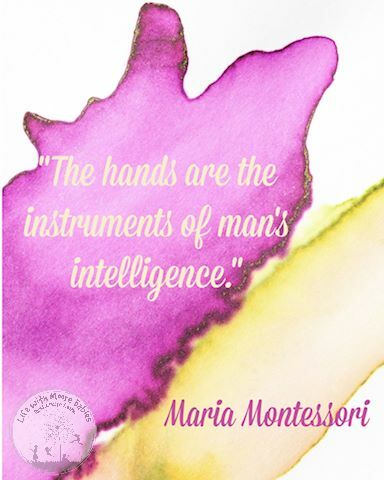 Hands-on experiences are multi-sensory, so they can benefit many of these learning styles including: auditory, visual, and kinesthetic lerning. Have you heard that writing things down helps you remember them, or that doodling during a lecture or meeting can help you remember the information? 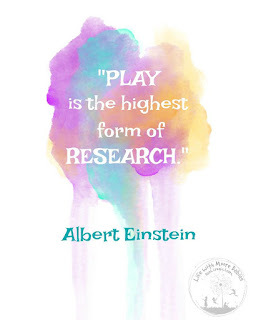 Hands-on activities can result in even better memory then writing or doodling! It is because of that brain engagement. More areas of the brain are stimulated because more of the senses are being used. More brain stimulation means more neural connections. More connections means better memory! While everyone has a preferred learning style, actually doing what you have been taught is the best way to internalize it. I mean how comfortable were you the first time you had to cook a meal? Probably not very unless you already had a lot of experience in someone else's kitchen. But after you have done it, it isn't so daunting. And the more you practice it the easier it gets. The same is true of any skill. This is a big one for me because problem solving ability is so, so important. Providing activities where the students have to make a decision and then get feedback from the decision (whether positive or negative) means the kids have to actively think about their choices. And when something does go wrong, they have to think about how to fix it. Fixing it shows them they can do it, even when it doesn't turn out perfect the first time. Realizing that mistakes do not equal failure is a great lesson too. I think everyone knows that multiple choice tests are really not a good reflection of how much a student knows. Yet, multiple choice tests are standard. Why not try assessing kids through a hands-on activity at the end of a unit? Can they use the skills taught to come up with a solution? Does their solution work? Can they problem solve when they get hung up somewhere? If so, they learned! Do you see how much experiential learning can benefit kids? And you can use it for most any subject. And you know what else, it doesn't have to be hard, messy, or super time consuming! Ready to get started? Snoop around the blog for lots of ideas to try with your kids or head over to Pinterest for more ideas then you could ever need! Not convinced? No problem. Check my Top Tips for Painless Hands-on Learning Here!